Fall in Ohio is a beautiful, vibrant time; your estate should flawlessly reflect that beauty. Our Rice’s landscaping crews keep your property beautiful even as it goes to sleep for the winter. We make sure your landscape is free of leaves and take the time to trim perennials and remove annuals. When the weather turns cold, we monitor your irrigation system and adjust levels as needed, or shut it off and prepare it for the dormant months. 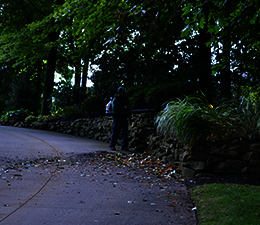 Not only will our team work hard to make sure your property reflects Ohio’s signature fall beauty, we will make sure it is properly prepared for winter and ready to re-bloom beautifully in the spring. Clients who choose our Estate Landscape Management program never need to schedule or request fall lawn care and leaf removal from Rice’s. This service is just one way we help you experience landscapes redefined.